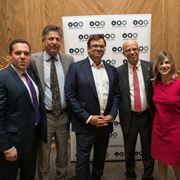 In collaboration with UK Israel Business and the Institution of Engineering and Technology, TAU Trust joined in the successful Innovate Israel Conference in London. The Conference brought together over 180 professionals from technology and business, including 17 of Israel's most pioneering, scale up companies. The event, part of the TLVinLDN (Tel Aviv in London) Festival held in September, 2017, highlighted the most exciting innovations from Israel. 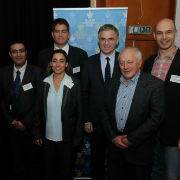 Representing TAU was Nimrod Cohen, Managing Partner of TAU Ventures. He described the innovation process at TAU, the wider Tel Aviv start-up ecosystem, the early stages of intellectual property (IP) development and presented ideas emerging from TAU students and alumni.